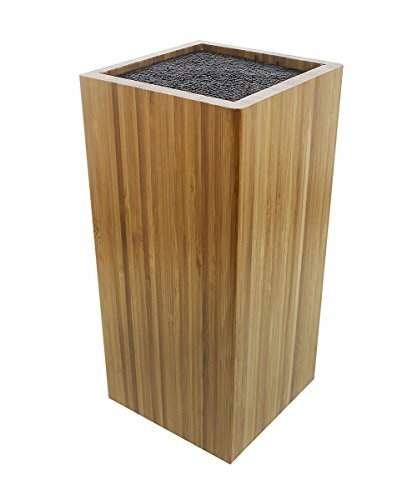 UNIVERSAL: A sleek and modern design that fits any size up to 8 inches makes this bamboo knife block ideal for many different knife styles. STYLISH: With a well-defined shape and minimalist design, this knife block will be sure to add a sense of functional beauty to any household's kitchen or restaurant's decor. TOUGH: Bamboo material ensures this knife block can endure the natural chaos of any kitchen or hectic restaurant environment. DISHWASHER SAFE: Interior bristles are dishwasher safe, making cleaning up after use a stress-free task.